Happy October! 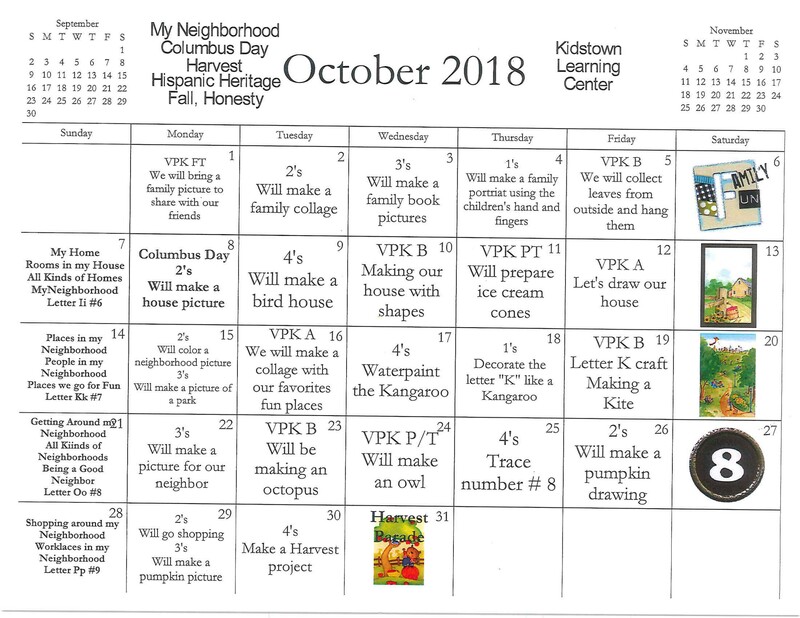 We are excited for the month of October and all of the fun events we have planned for your child at Kidstown Learning Center in Lakeworth. 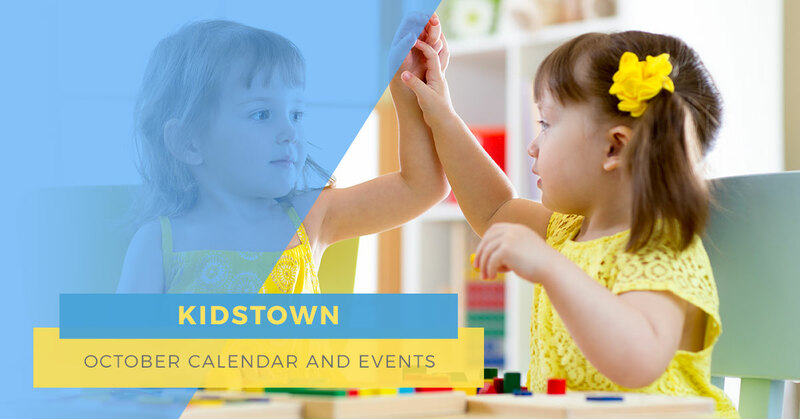 This month, we will be focusing on teaching your child about honesty and how to express their true feelings in respectful and constructive ways. 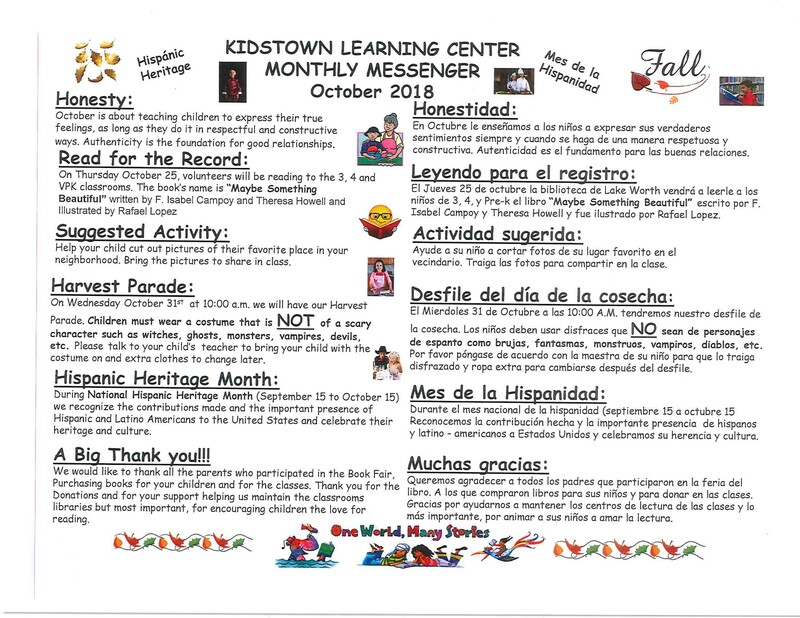 October is also Hispanic Heritage Month, so we will be exploring the contributions made my Hispanic and Latino Americans and celebrating their heritage and culture. Wednesday, Oct. 31 is also our Harvest Parade, where your child will have the opportunity to dress up in their favorite costume. See below for more details about our October events, and, as always, don’t hesitate to contact us with any questions.